Note: the following is the Canon for the Feast of All Saints of Mount Athos (The second Sunday after Pentecost), translated by Fr. 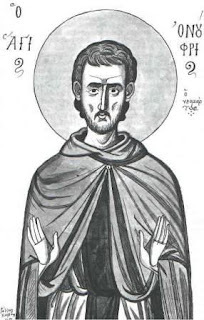 Ephraim Lash and interspersed with as many icons of the Saints as I could find. May the great lights that are the Athonite Fathers continue to illumine the world with the Light of Christ! Canon of the Saints. Ode 1. Tone 8. God of all things now give grace to me your servant, as I endeavour to praise in songs, by letter and by name, the Saints who have shone on Mount Athos and fulfilled your will. The sacred founder of the Great Lavra I honour in hymns as the godly first fruit, as truly declared to be the type and example of the Fathers of Athos in both contemplation and actions. 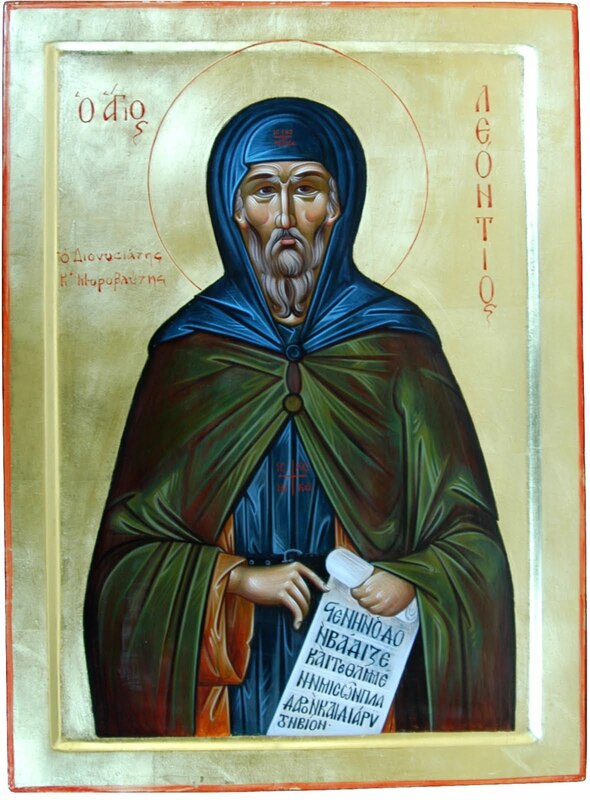 It is fitting to hymn the glorious Agapios of Vatopedi, because he heard the voice of the Mother of God and, though a slave, like a free man ransomed his own master with his sons from eternal punishment. 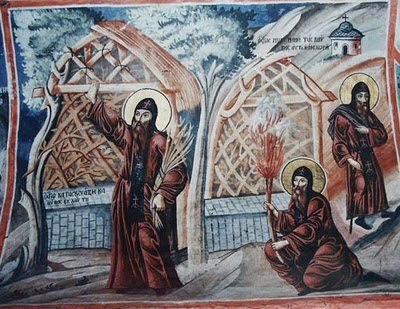 I praise the radiance of Athanasios, the fair palm tree of the Monastery of Esphigmenou, the dazzling struggles of Akakios the New and Akakios the Martyr, boast of the Skete of Iveron. 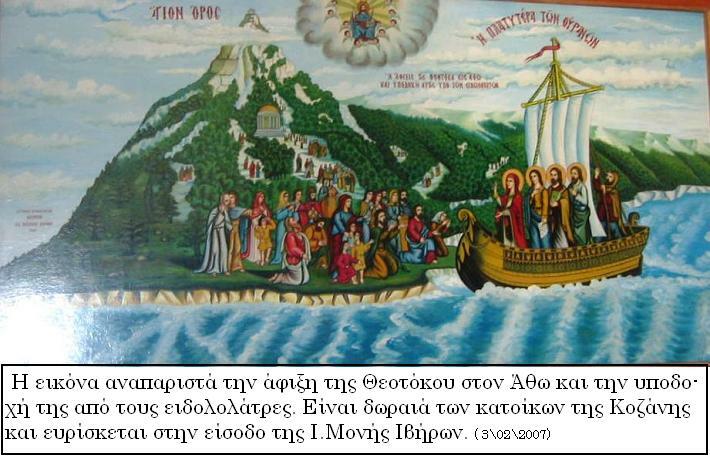 The famed Gerontios was revealed as the glory of the famous Skete of the Foremother of God, with him let us bless the ascetic life of Saint Gabriel of Iveron, who took the wonder-working Portaïtissa from the sea. How shall I not honour revered Gennadios, who saw the oil that gushed up from the Mother of God in Vatopedi? How again shall I pass over in silence God-bearing George, founder of Iveron? The Monastery of Dionysiou blossomed with godly Gennadios, and Karakallou with the glorious Gedeon, the Skete of Koutloumousiou with Gerasimos, whom let us honour with praise, as both monks and martyrs. 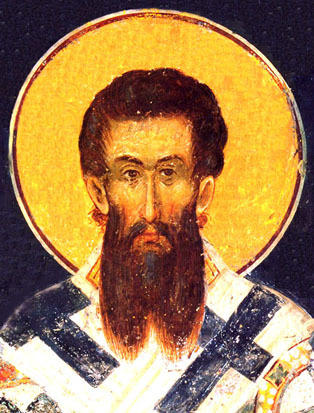 I sing the praise of godlike Gregory Palamas, revealed as the great theologian and sacred instrument of the holy Spirit, right mouthpiece and seal of all the theologians. It is right to praise two Gregories, who lived radiantly in the confines of the Lavra; and their namesake, another Gregory, who raised his own famous Monastery. Like a skilful mother, the inspired Skete of God’s Foremother Anne brought glorious David, who by the struggles of martyrdom glorified Christ, whom let us now glorify. 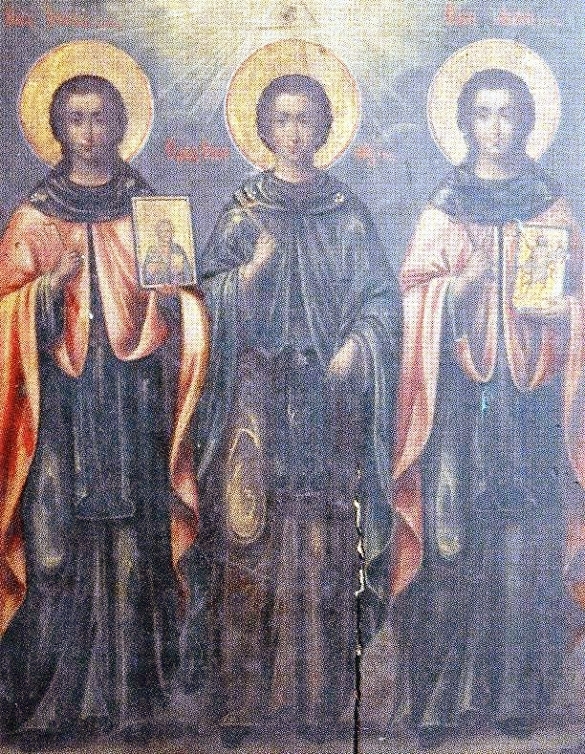 The Monastery of Esphigmenou flowered with Damian; and Philotheou sprouted another Damian, monk and martyr, and with him the godlike Dometios. Let us call them blessed. I sing Dionysios, the wondrous monk, founder of the Monastery of the Baptist John, and Dometios, Dionysios’s friend, ablaze with the Spirit’s gifts of grace. Let Dionysios the Rhetor, the far-famed ascetic, who was well-pleasing to the Lord by words and deeds in the Little Skete of Anne the chaste, be hymned by me in godly songs. 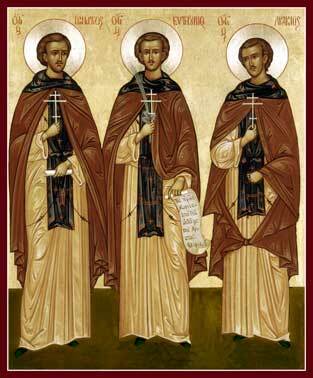 Another Dionysios, shoot of the Iverites, and Damaskinos, godly ornament of the Lavra are now called blessed, because they received the double crowns of martyrs and of monks. You promised, O Virgin, always to make war for those who take up war on this mountain against the enemy the warrior of the thunder. Therefore, Sovereign Lady, fulfil your promise. 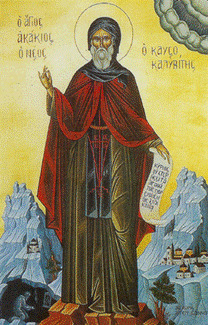 In hymns I honour the leader Efthymios of Vatopedi, who was bound with chains and drowned in the deep for repudiating the error of the partisans of the Latins, and with him godly Evdokimos, the finding of whose holy remains filled all with joy. 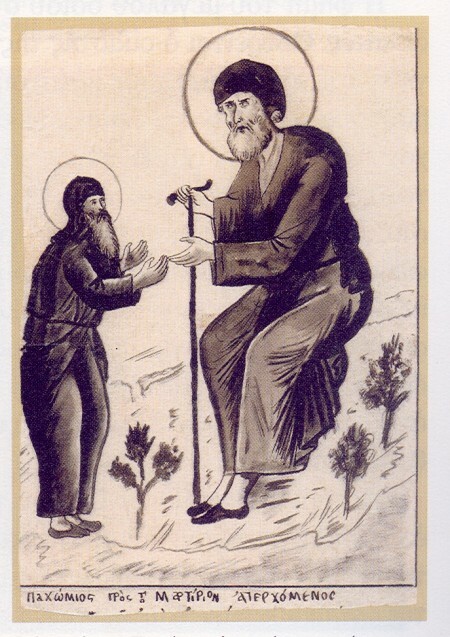 With them I hymn yet another Efthymios, founder of the Monastery of Iveron, who once, as he celebrated the liturgy to God, was seen by those with him as a pillar formed like the sun; and I sing yet another holy Efthymios, the founder of Docheiariou. With joy I honour the far-famed, new monk martyr, radiance of the Skete of Iveron, fair flower of mystic happiness, inspired Efthymios, who shone first by his ascetic life and then by the contest of martyrdom. 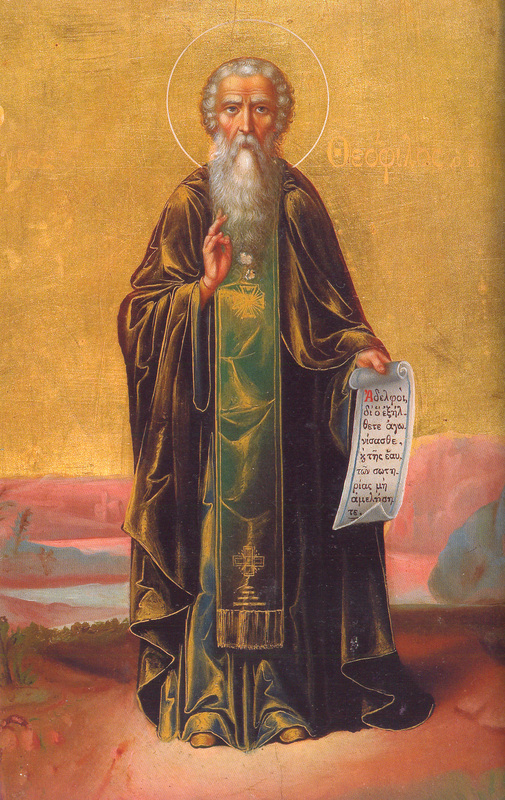 It is right to praise Theodosios, abbot of the Monastery of Philotheou, and Theophanes the ascetic, ornament of the Monastery of Docheiariou; and high-minded Theoleptos of Philadelphia, revered fragrance of the Trinity. How could I neglect, unhonoured, Theonas, lamp of the Monastery of Pantocrator, and famed Hierarch of Thessalonica? How not honour in words Theophilos, the godlike source of myrrh. His fragrance excels all aromas? Let holy John, the founder of the sacred Monastery of Iveron, be hymned by me, and John, shoot of the Lavra; and with them again the shoots of Iveron, high-minded James and another James, monks and champions. From the Monastery of Dionysiou flowered the inspired, all-honoured Joseph, and from the far-famed Skete of Saint Anne inspired Hilarion, and also from the Skete of Iveron Ignatius. As martyrs let us praise them. Great, Sovereign Lady, is your forethought for your mountain! For you said you would be for those who inhabit it well the expounder and teacher of what should be done; nourisher and physician, giving healing, which you wish, and nourishment of both soul and body. 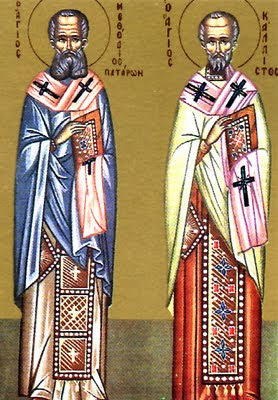 I bring a hymn to holy Joasaph, boast of the Monastery of Dionysiou, with him I honour Hierotheos, ornament and glory of the Monastery of Iveron, companion of the monks of old. It is indeed most fitting to honour the great Kallistos in hymns, that wise and inspired instrument of grace, radiance and glory of the Monastery of Iveron and revered Chief Shepherd of shepherds. Let the especial sapling of the Monastery of Zographou be honoured in songs, holy Kosmas, who saw with his own eyes the Mother of God. And let the other Kosmas be praised, Equal of the Apostles, radiance of the Monastery of Philotheou. 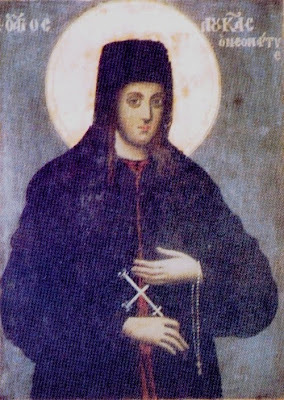 A fair ornament of the godly Skete of the grandmother of God has appeared, godlike Kosmas, who first lived there the ascetic life and then in martyr contests glorified Christ’s name, whom with fitting honour let us call blessed. You too Koutloumousiou rejoice, because in your cells there flowered Christ’s priest and saint, the Martyr Cyprian; with whom let Konstantios, who dwelt in Lavra, be praised. As a mother over her children, let the Monastery of Dionysiou be glad at the revered ascetic, Makarios, new martyr of Christ, and Leontios, who wondrously gushed sweet-smelling myrrh from his tomb. And Luke the inspired, who cast away the pleasure of youth and led the ascetic life in the godly Skete of the Foremother of the Word; therefore as he both struggled and magnified the Master he is sacredly magnified by us. Who does not rejoice when he hears? Who does not exult over your promise? For you said, O Maiden, to your Son and God that you will stand by those who have here ended their lives well, beseeching pardon of their faults. 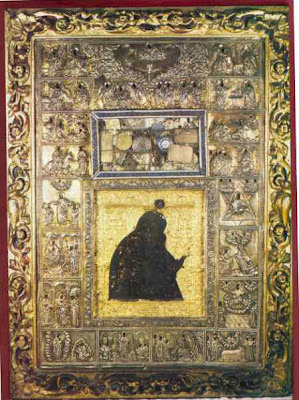 Let us honour in songs the sacred offspring of the Lavra, inspired Maximos, without flesh in the flesh, who received from the divine Spirit the rich grace of prophecy. 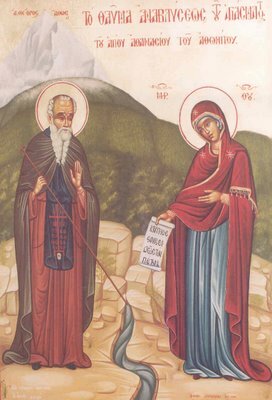 With gladness I call blessed valiant Makarios and venerable Mitrophanes, the fruitful trees of the famed Skete of the Foremother of God. I honour the godlike shoots of the Monastery of Vatopedi, glorious Neophytos, for he heard the voice of the pure Child of God, and Nikodemos, resplendent among the Saints. Let the outstanding ornament of the Monastery of Dionysiou be praised, wondrous Niphon, named shepherd of Constantinople, and pinnacle of Ascetics. Rejoice august Monastery of Docheiariou, enriched with a far-famed founder, the wise Neophytos, who blossomed with virtues of every kind, as a most fruitful tree. 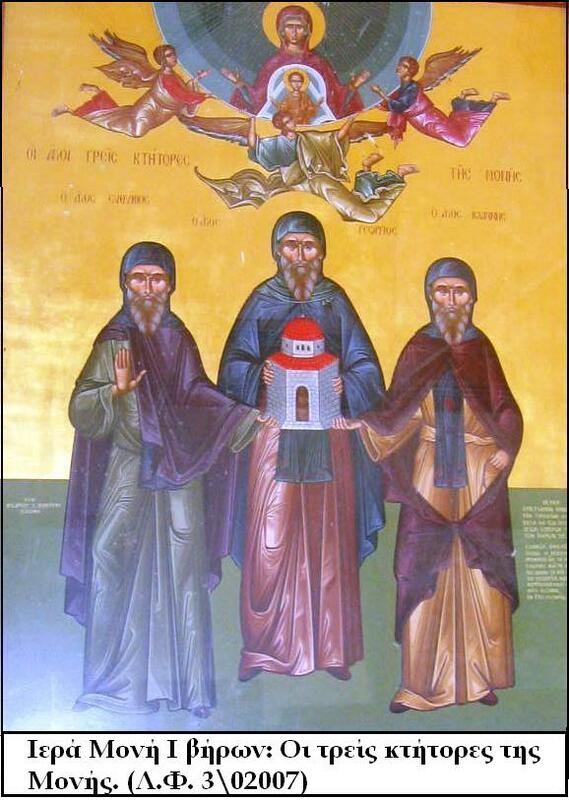 The sacred Skete of inspired Anne truly does not cease from rejoicing in Spirit as it honours its sons: Niketas, Nikodemos with Nektarios. Skete of Karyes rejoice in the divine Spirit, who also flowered with glorious Nektarios, the sweetest nectar of every virtue and companion of the Saints. The Saints of the Mountain, Mother of God, having your alliance as a stout panoply, destroyed the whole army of the demons and received crowns of victory. 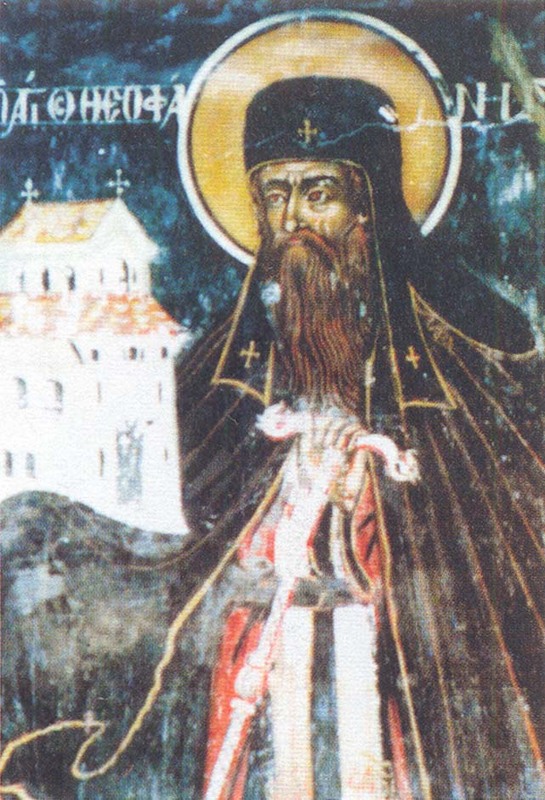 Kontakion. Tone 4. Lifted up on the Cross. On the Second Sunday of Matthew we celebrate the memory of all the Venerable Fathers, who have shone forth on the Holy Mountain of Athos. Verses for the Mountain and the Fathers who became Saints on it. The godlike choir of Fathers of Mount Athos. A throng of Athonites stands round the throne of God. At their holy intercessions, Christ God, have mercy on us and save us. Amen. Niphon, the God-bearer, is declared one of the Saints of Athos, who lived the life of winged creatures in the confines of the Lavra, and received from God the gift of prophecy. 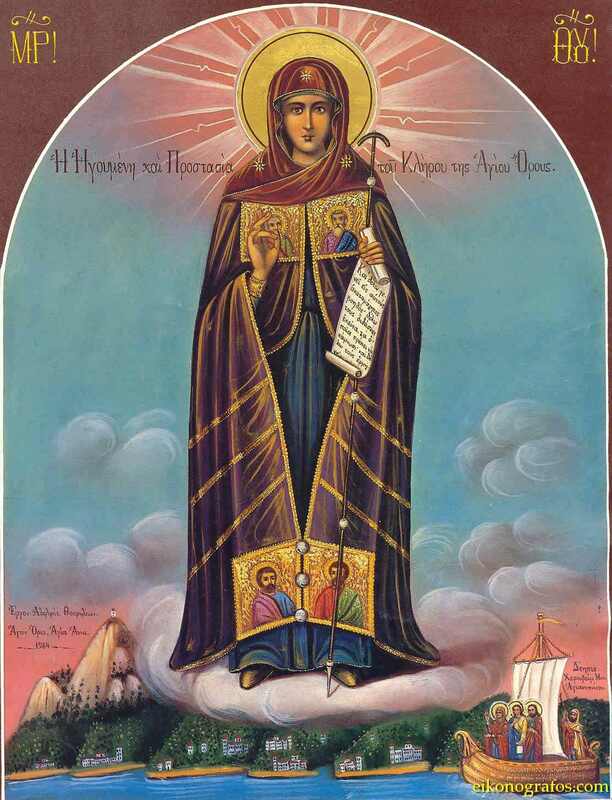 Let Neilos of Lavra, who gushed myrrh, and Nikodemos, flower of Saint Anne, who longed for Christ and was a new martyr, be rightly praised in tuneful songs. How could we banish from the choir of saints godly Nikephoros, who lived the solitary life in the most deserted places and was found worthy of the Spirit’s gifts of grace. Let praises fittingly be sung to godly Onouphrios, who put the error of the Hagarenes to shame, who trained first in the Skete of Iveron and later entered the contest. 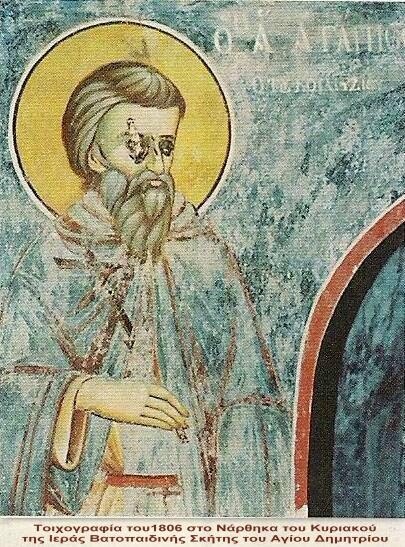 Let Paul, the founder of two Monasteries, of Grigoriou and Xeropotamou, beauty of ascetics, who at the end shone like another sun, be magnified in songs. Let Paul, shoot of Saint Anne, and Prokopios, of the Skete of Iveron, be praised with one accord with tuneful songs as athletes of Christ and kindred of the Saints. 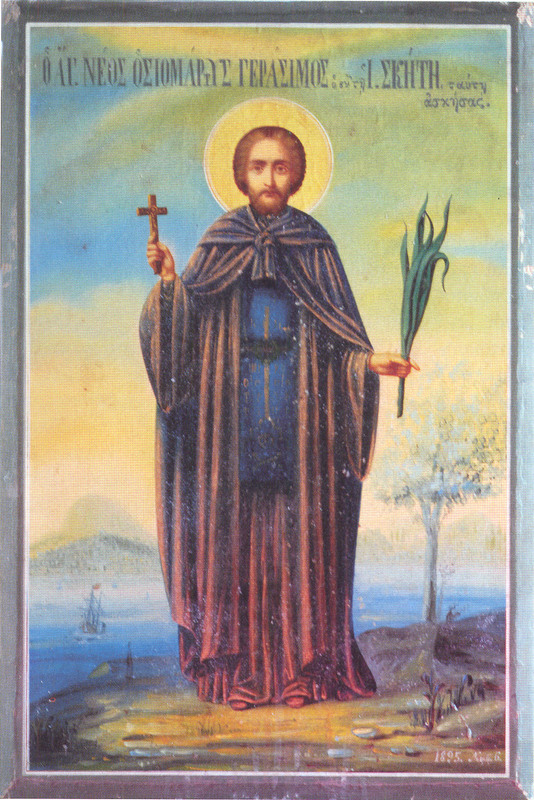 I sing a hymn to Pachomios, the most valiant new martyr of Christ, inspired offshoot of Kavsokalyvia, who received a double crown from the Lord. You, pure Ever-virgin, are the Sovereign Lady of the world, but pre-eminently of this Mountain, and its defender, who save it from every abuse and harm. 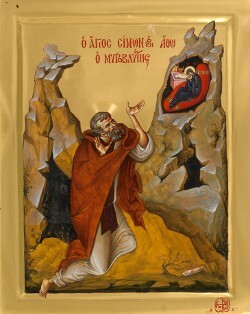 The first of the hesychasts of the Mountain, Peter of Athos, is honoured, who lived an immaterial life; he routed the bodiless Demons in body; he passed his whole life naked and was richly granted the inspired gifts of the Spirit at the prayers of the Mother of God. Let us honour in songs the glorious Romanos, pride of ascetics and sweetness of the new martyrs of Christ, whom the Skete of the Lavra of Kavsokalyvia blossomed as a rose, and whom Akakios, young in years and old in asceticism had as his own disciple. 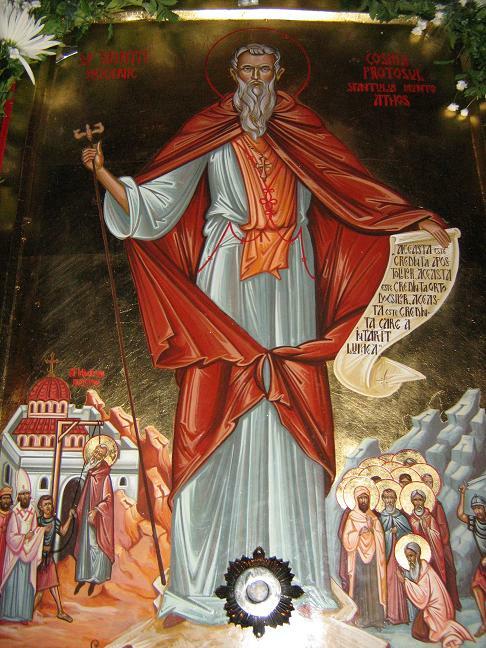 Let Savvas, the inspired Hierarch, who received the power of wonders from Christ, be praised by me; who enlightened the palace of the Serbs like the sun, with Symeon, his father according to the flesh, but his son according to the Spirit, who poured forth myrrh, the godly founders of the Monastery of Chilandar. 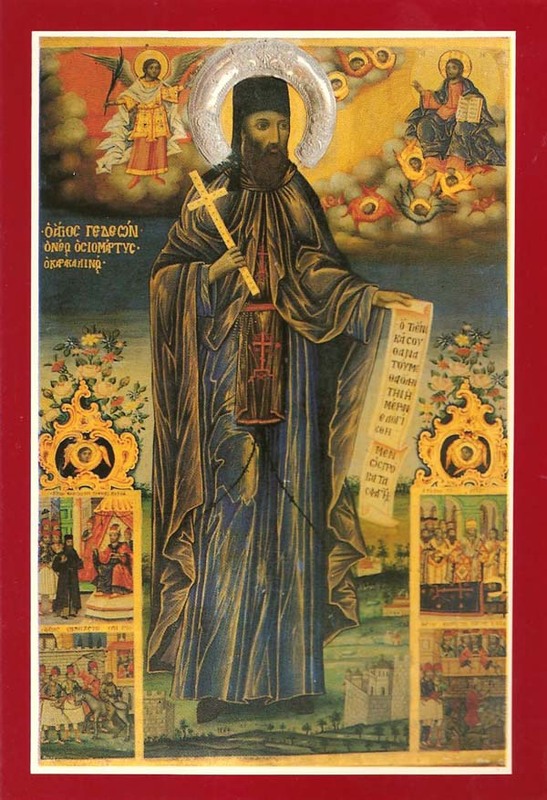 Let us honour Symeon, finest abbot of Philotheou; and Simon, who poured forth myrrh, who founded the lofty sited Monastery of the Rock through the oracle of the heavenly star; he received the power of wonders from God and authority against unclean spirits. Adorned with the beauties of gladness, Sophronios, sacred among priests, lived soberly and glorified Christ in the godly Skete of inspired Anne, radiant by his blameless way of life and fair adornment of behaviour; therefore let us publicly sing his praise. 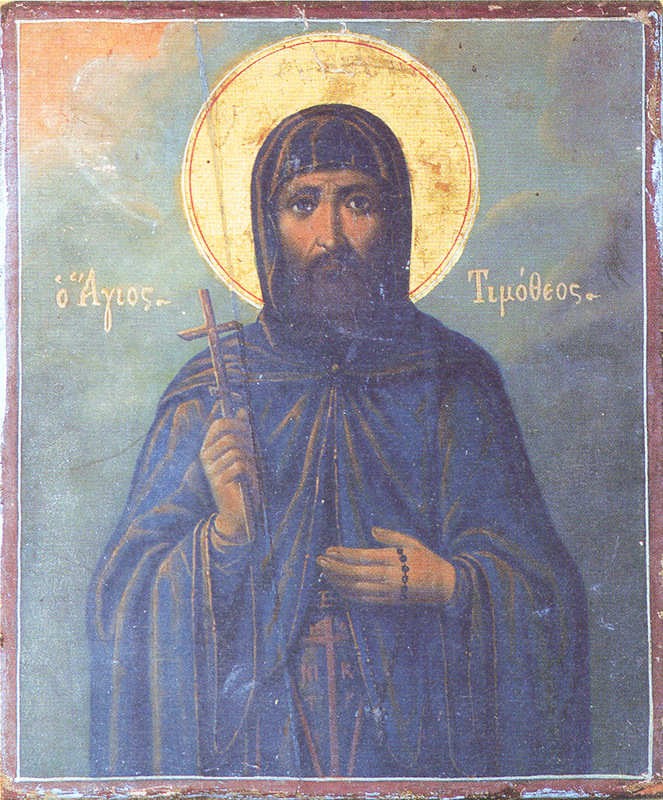 The holy fold of Esphigmenou has been found worthy again of greater honour, for it sprouted a sacred shoot, the godlike Timothy, who truly honoured by sacred contests the Master of all; and so it rejoices as it praises him and highly exalts Christ, the only Judge of the contest. Leap for joy and dance again all the august Monastery of Dionysiou, which flowered the godly Philotheos, glory of ascetics; whom Mary the Mother of God delivered from prison and from every abuse of demons, and whose head appeared like a shining star. You appeared seated on a high tribunal and shining throne, Sovereign Lady, all radiant, and around you stand unnumbered choirs of the unwed, in the southern peaks of Athos, and around the Mountain, like towers of fire, they were seen typifying those who are now being praised. 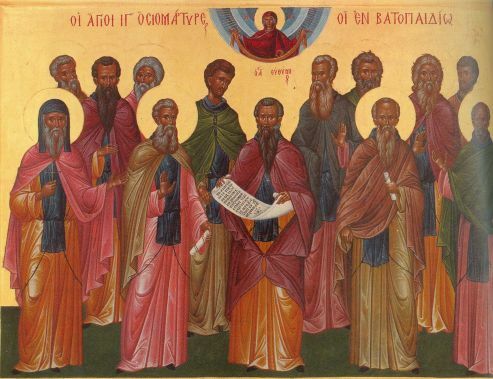 Be glad, august Monastery of Vatopedi, which was enriched by twelve saints and athletes, who courageously refuted every false doctrine of the impious partisans of the Latins, by whom they were delivered to the axe and received double crowns. 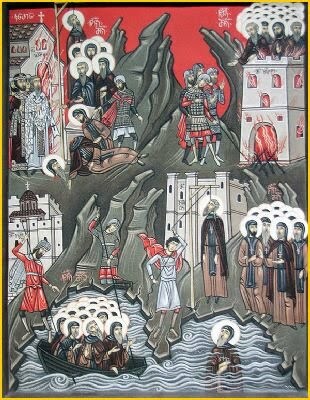 Rejoice godly Monastery of Iveron, because you offered Jesus a whole multitude of Monk Martyrs from among your children through suffocation by water, as they had with courageous mind rejected king Michael and patriarch Vekkos, partisans of the Latins. Raise the paean and rejoice too, Monastery of Zographou, who offered to the Lord your sons, twenty four in number, godly Monk Martyrs, as sacred whole burnt offerings, made perfect by fire as they bravely triumphed over the partisans of the Latins. And you, Skete of Karyes, why do you not dance and be happy? For you also offered your children to Christ, brave Monk Martyrs, their heads struck off by the sword, as they championed the doctrine of the Fathers and held the partisans of the Latins to scorn. But let all the foothills of the Mountain with the famed desert joyfully sing the praises of those who mystically shone forth in you, known and unknown, who served Christ in the ascetic life in different ways. Holy and far-famed company, God-assembled gathering of Ascetics, light-bearing and sacred multitude of Hierarchs, godly army of Martyrs, all, both unnamed and known, bright stars of Athos, do not cease to intercede for our sakes to the Queen of all. Accept, august, all-holy Trinity, those whom Mount Athos offers you as first-fruits and chosen incense, all those who on it have called you ‘Holy’, at first and later, known and unknown, and at their prayers keep it free from all harm. All we who dwell on the Mountain offer you songs of thanksgiving, Mother of God, for you ever keep us safe from every peril; you nourish, cherish and care for us. But we beg you, ‘After our end, grant us the divine Kingdom’.